"When I was younger I didn't know a thing about death. I thought it meant stillness, a body gone limp. A marionette with its strings cut. Death was like a long vacation – a going away." 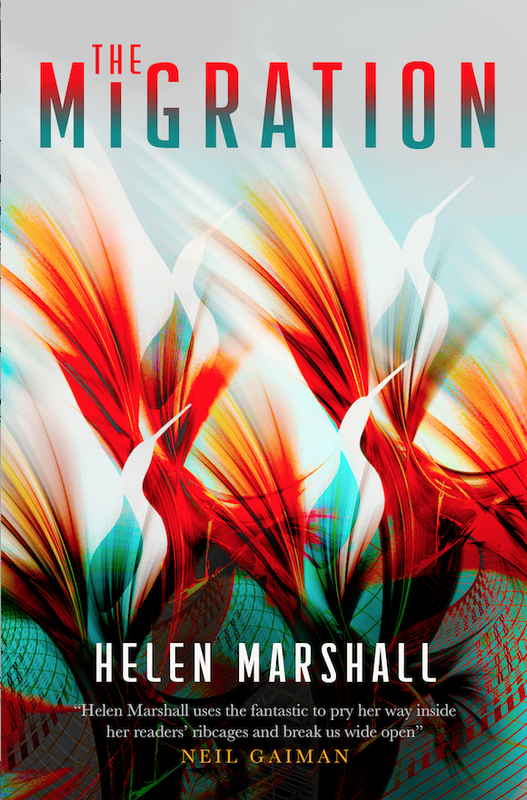 A tale of sisterhood, transformation and the limits of love, The Migration is a poignant new dark speculative fiction debut from the award-winning author Helen Marshall. Blending universal fears of climate catastrophe with intimate observations on the nature of personal grief, The Migration offers a deeply captivating meditation on human nature that will delight fans of M.R. Carey, Emily St. John Mandel and Kazuo Ishiguro. Storms and flooding are worsening around the world, and a mysterious immune disorder has begun to afflict the young. Sophie Perella is about to begin her senior year of high school in Toronto when her little sister, Kira, is diagnosed. Their parents’ marriage falters under the strain, and Sophie’s mother takes the girls to Oxford, England, to live with their Aunt Irene. An Oxford University professor and historical epidemiologist obsessed with relics of the Black Death, Irene works with a centre that specializes in treating people with the illness. She is a friend to Sophie, and offers a window into a strange and ancient history of human plague and recovery. Sophie just wants to understand what’s happening now; but as mortality rates climb, and reports emerge of bodily tremors in the deceased, it becomes clear there is nothing normal about this condition – and that the dead aren’t staying dead. When Kira succumbs, Sophie faces an unimaginable choice: let go of the sister she knows, or take action to embrace something terrifying and new. HELEN MARSHALL is the World Fantasy Award-winning author of two short story collections and two poetry chapbooks. Her stories and poetry have appeared in magazines and anthologies including Abyss & Apex, Lady Churchill's Rosebud Wristlet and Tor.com. She obtained a PhD from the Centre for Medieval Studies at the University of Toronto, and then spent two years completing a postdoctoral fellowship at the University of Oxford investigating literature written during the time of the Black Death. Helen has worked as a managing editor for ChiZine Publications, and was recently hired as a permanent Lecturer in Creative Writing and Publishing at Anglia Ruskin University in Cambridge. She grew up in Sarnia, Ontario, and now resides in Cambridge.